Honestly how gloomy is this Cape Town Monday? Don’t you think that sometimes Monday just needs to feel like a Friday? 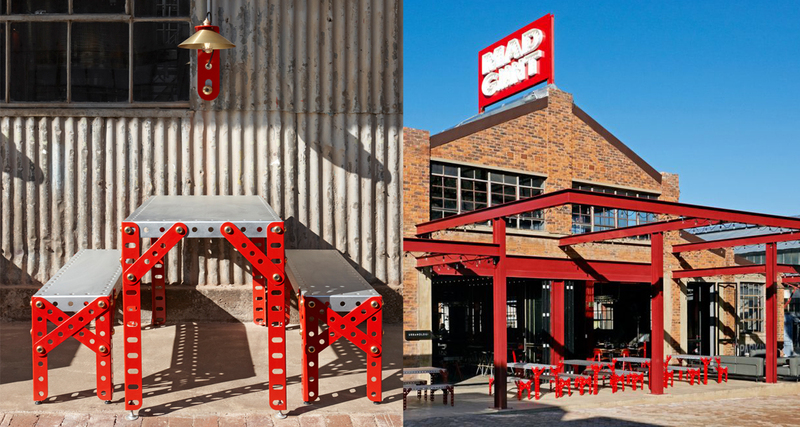 The kind of Friday when you get off early, the sun is shining and you find yourself hanging out with your friends at a brewery that looks something like Mad Giant in downtown Johannesburg. Designed by Haldane Martin Iconic Design the interiors play with scale referencing oversized metal toy construction kits. 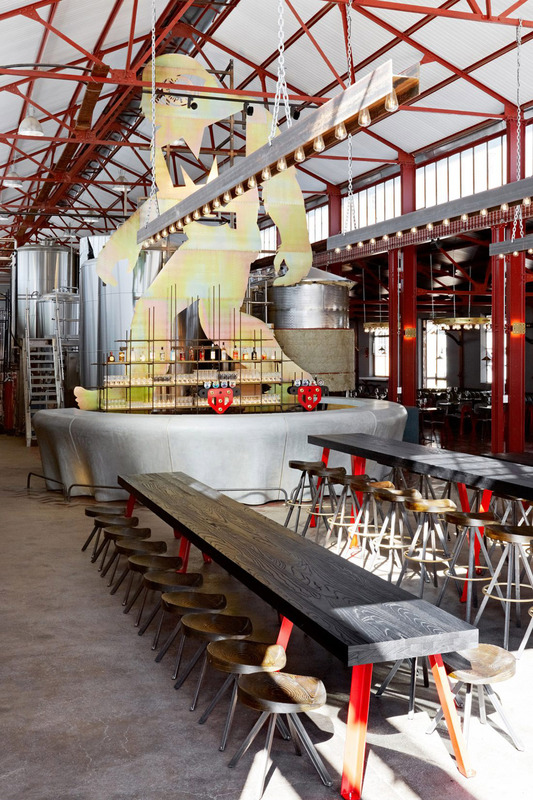 The 6-metre-diameter cast concrete bar counters take the form of a giant bottle cap beneath a giant yeti. 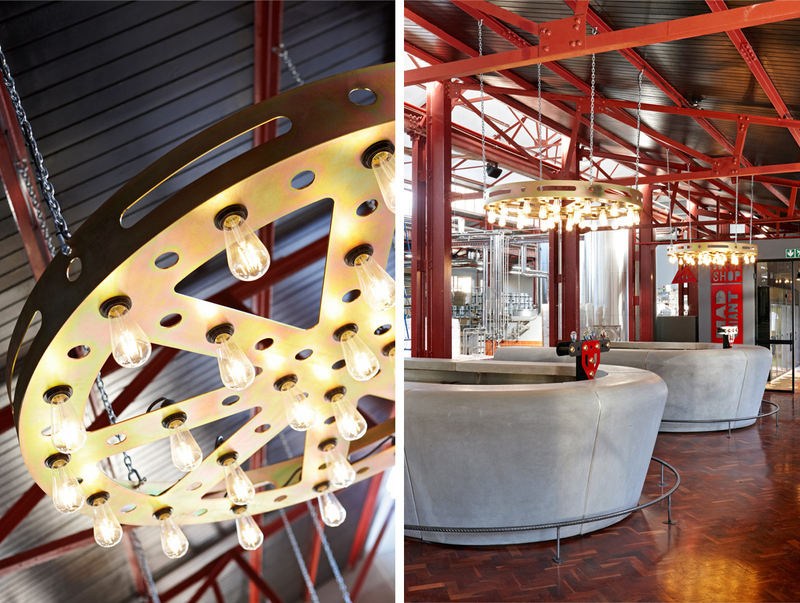 All the furniture in the brewery is bespoke and includes a range of original pieces by Haldane Martin made from custom-made scaled up Meccano, like giant toys turned into furnishings, to bring the brand vision to life. 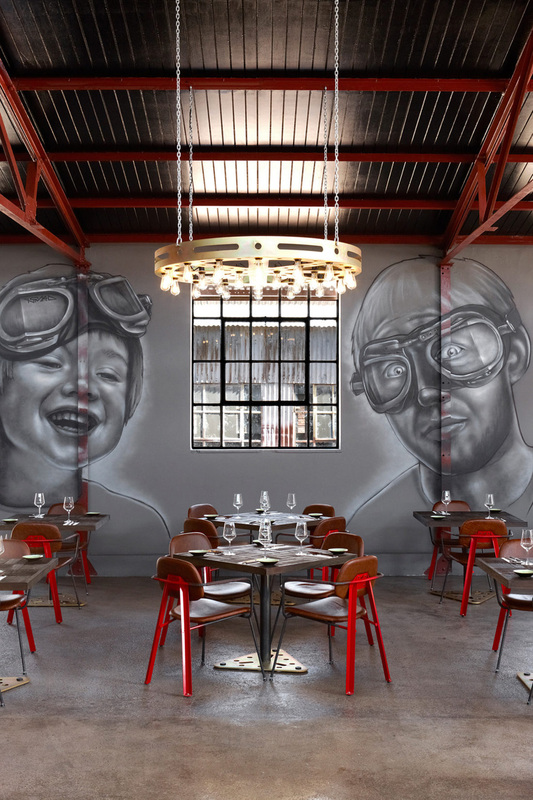 Giant murals with a playful, childlike aesthetic adorn the walls, enhancing the effect of a child’s big dreams brought to life. 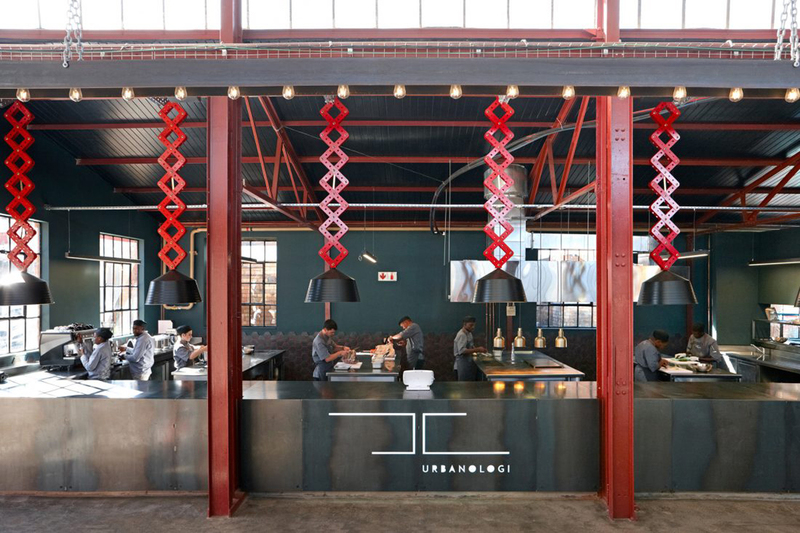 The restaurant inside the brewery, Urbanologi, gives an avant garde twist to Asian street food. 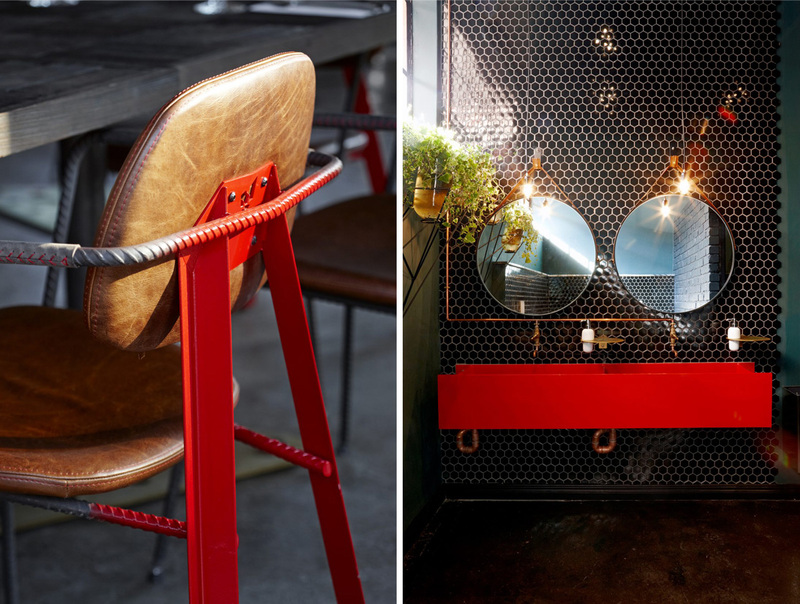 Chef Angelo Scirocco’s unexpected combination of umami flavours and craft beer set it apart. 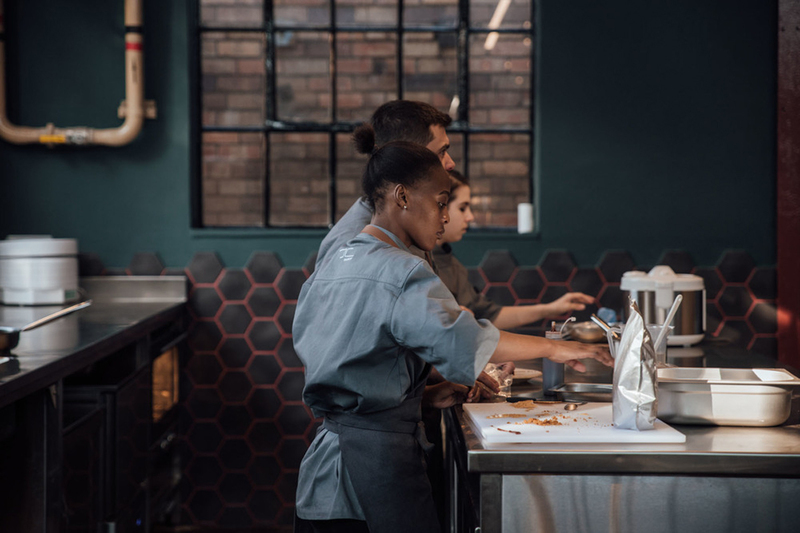 Fresh natural ingredients, attention to detail in cooking and plating, and an experimental and constantly evolving menu reinforce the connection between Urbanologi’s cuisine and Mad Giant’s beer. 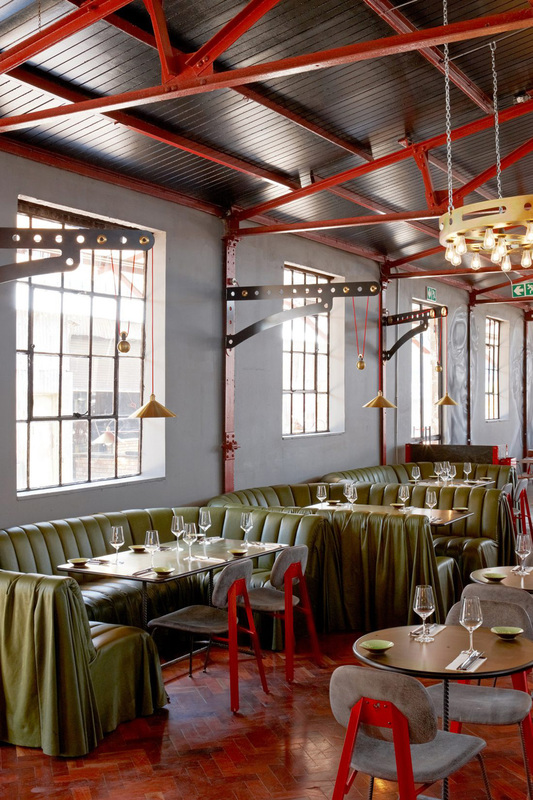 Is it any wonder that Haldane Martin won the Restaurant and Bar Design Award for their interior design concept for Urbanologi restaurant? !